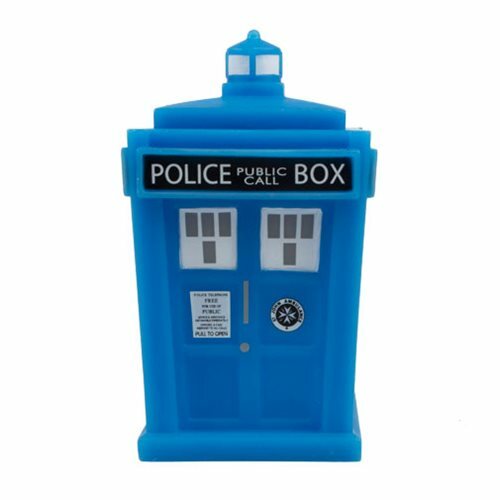 Shopping for Doctor Who Vinyl Figures? Enjoy the comforting glow of the TARDIS, even in the dark! This Doctor Who TARDIS Glow-in-the-Dark 4 1/2-Inch Titan Vinyl Figure was first available at New York Comic Con. Measuring approximately 4 1/2-inches tall, the TARDIS comes packaged in a window display box. Ages 15 and up.